Roy Morgan and Mobilewalla today announced a strategic partnership, leveraging Roy Morgan’s industry-based consumer segments together with Mobilewalla’s panel of more than seven million matched mobile devices in Australia, two million matched devices in New Zealand, and 30 million matched devices in Indonesia. These mobile devices can be engaged based on the location of the device, and also using Roy Morgan segments such as Helix Personas. Engagement is available through a wide range of DSPs including Google DBM, the Trade Desk, and the Adobe network. The platform can also be used to append the Roy Morgan customer segments and mobile-based behavioural data to clients’ own mobile device pools. These devices can then be served advertising based upon time and location. VoiceFoundry, a provider of cloud-based contact centre solutions, announced the launch of an Amazon Connect Accessible Agent Desktop for vision impaired contact centre agents at Vision Australia. Vision Australia required a contact centre solution that would allow blind, low vision and sighted agents to have the same experience, functionality and business tools to service their customers. Fully integrated to Amazon’s Contact Control Panel, central to the design was the ability to interface with Job Access with Speech (JAWS) screen reading technology. The Agent Desktop includes compatibility to ZoomText Magnifier (screen magnification application), functional shortcodes, interfaces to Salesforce and Active Directory. Customers details are screen-popped based on their displayed phone number. VoiceFoundry partnered closely with the Vision Australia team to design, build and test the contact centre, with particular focus on the Accessible Agent Desktop. UniServices has followed Mercedes Benz’s investment into Soul Machines with its own commitment of US$2m to a US$15m+ funding round. UniServices, which owns 15 per cent of the company, made the investment through its $20m University of Auckland Inventors Fund. Soul Machines was spun out of the University of Auckland in July 2016 with a Series A investment round by some of the world’s leading AI investors. The University of Auckland Inventors Fund was formed in 2016, with capital provided from UniServices’ retained earnings from its commercialisation business. Designed to foster academic and student entrepreneurship, the Fund is typically the first investor in University-derived start-ups. It syndicates with local and global investors, including Horizon Ventures, Brandon Capital and the IP Group, that collectively have over $1bn of capital. QPC, a contact centre services and solutions company, has won a contract to deploy the Genesys PureCloud contact centre platform at Beyond Bank Australia fuelling the bank’s multi-channel customer experience program. Beyond Bank is one of Australia’s largest customer owned banks serving over 240,000 customers nationally and more than 40 branches across Western Australia, New South Wales, the Australian Capital Territory and South Australia. The decision to deploy PureCloud follows a review of the bank’s contact centre management and its decision to replace the current Zeacom-based queuing system to increase functionality and to scale up growth. Beyond Bank’s contact centre handles around 290,000 calls annually and more than 350,000 interactions. Digital experiences have increased by 100 per cent in the past 12 months with live chat expanding 1000 per cent in the past two years. Beyond Bank will partner with QPC to deploy PureCloud across its Customer Relationship Centre operations in Adelaide and Canberra which house around 75 agents for both inbound and outbound calls. Crayon, a market and competitive intelligence platform company, is arming sales teams with dynamic Battlecards integrated with Salesforce CRM and a real-time, programmatic competitive intelligence engine. Crayon Battlecards allow businesses to create, distribute, and measure battlecards that are wired to the latest market movements, allowing them to win more competitive deals while cutting time to collect and update intel. Crayon Battlecards are designed from the ground up to eliminate dated concerns. Users are alerted to new relevant intel from within the battlecard, enabling an update in clicks. Battlecards are available wherever the sales team lives - desktop viewing, mobile access on the road, or even from within Salesforce CRM. Crayon Battlecards have built-in measurement tools to evaluate usage and sales feedback, giving visibility into battlecard effectiveness and ROI. LiveChat announced the launch of the Community platform, aiming to allow customers to be able to connect with other users, experts and developers to find answers to their questions and share experiences. LiveChat wants to facilitate the exchange of information and knowledge among users. The “Community” is the next, important step in transforming current LiveChat’s business model into a platform. From the platform perspective, the interactions between LiveChat customers, partners and developers are the core value, unlike the SaaS model where the core value is a product itself. The “Community” is also expected to drive the LiveChat for Developers program. Developers, who are registered in the program, will be able to learn about customers’ needs and thanks to it, create applications that fully meet their expectations. 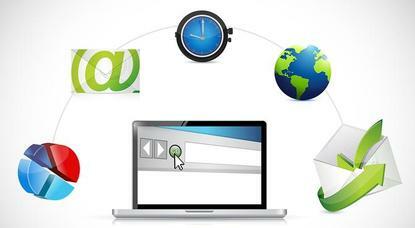 Smaato, a global real-time advertising platform, launched an Automated Traffic Curation (ATC) product. The machine learning technology culls less relevant inventory before reaching a demand partner’s platform, aiming to save partners’ time and expense in sorting and processing, in order to find the highest value opportunities for advertisers. The product is available for all of Smaato’s 260+ DSPs. Smaato’s ATC claims to optimise the bid stream using machine learning that analyses bidding behaviour and improves with accuracy over time across different inventory types. This process ensures that DSPs not only reduce their overall costs of processing volume but also get more relevant inventory. ATC also features customisable controls so that DSPs have the ability to manage inventory volume based on their own business needs. Taboola announced a global strategic partnership with vivo, the fifth largest smartphone manufacturer in the world. Under the partnership, Taboola will deliver a fully personalised content experience for vivo’s customers helping the manufacturer drive engagement and monetisation and providing a new audience source to content publishers in the region. Taboola will be vivo’s strategic content partner to integrate directly on vivo’s swipe right experience. When users swipe right on the homescreen, Taboola will surface relevant personalised news and content from its network of publishers throughout Asia. The partnership with vivo will leverage Taboola’s footprint in the region through partnerships with thousands of quality publishers and marketers. “Enabling people to discover what’s new and interesting is a key part of enriching people's lives, and it is at the heart of our mission at Taboola. Smartphones are perhaps the most intimate device that we own -- on average we use our smartphones over 100 times a day. So the opportunity to create a personalised experience and surface relevant content in that 'moment of next' is massive for users, journalism, and smartphone manufacturers,” said Adam Singolda, founder and CEO, Taboola.